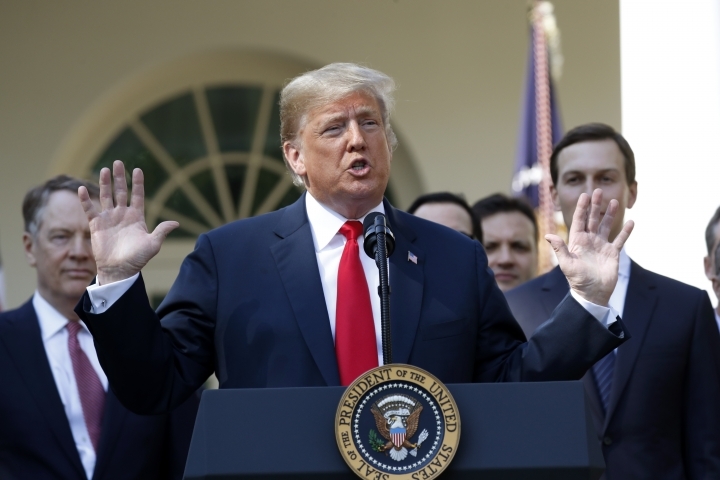 WASHINGTON — President Donald Trump jokes he'd be a "mess" if he indulged in alcoholic beverages. Added Trump: "Can you imagine if I had, what a mess I'd be? I'd be the world's worst." Trump's older brother, Fred Jr., died after struggling with alcoholism. In the past, Trump has described him as a "great guy," but said he "had a problem with alcohol." Trump has said he learned from his brother.